Happy Last Day of September from Newport, RI! The Eurodam is in Newport today! Another day, another ship! 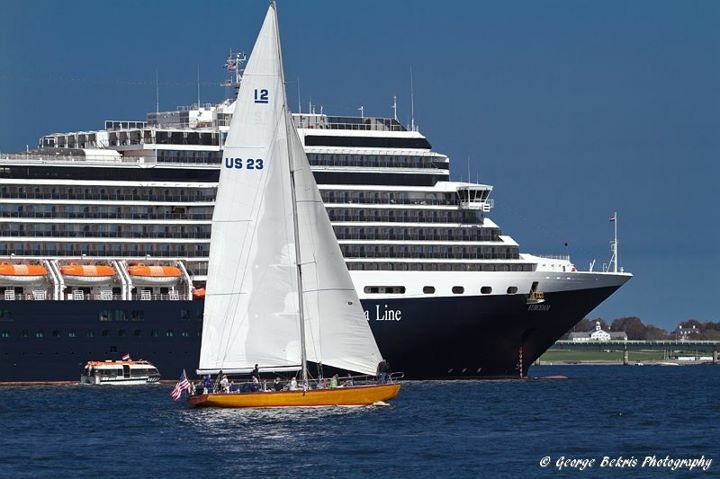 Holland America's Eurodam is visiting Newport today. 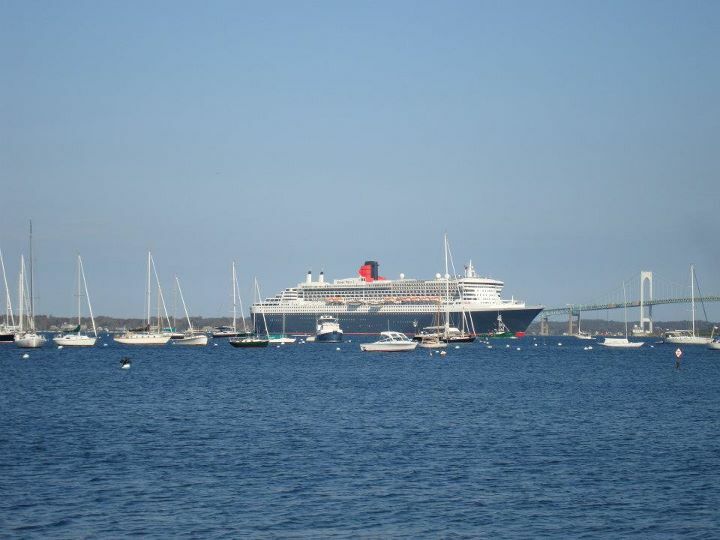 Check out this great shot from her last visit to Newport by George Bekris. Today is National Coffee Day. These are our kind of "coffee grinders!" Cooler Weather = Warmer Clothes for Sailing! Keep warm this Fall sailing with our 12 Meter Crew Gear. Our stylish sweatshirts are sure to keep you warm and stylish while sailing. Order online with a few easy clicks or call 401-851-1216. We ship anywhere! 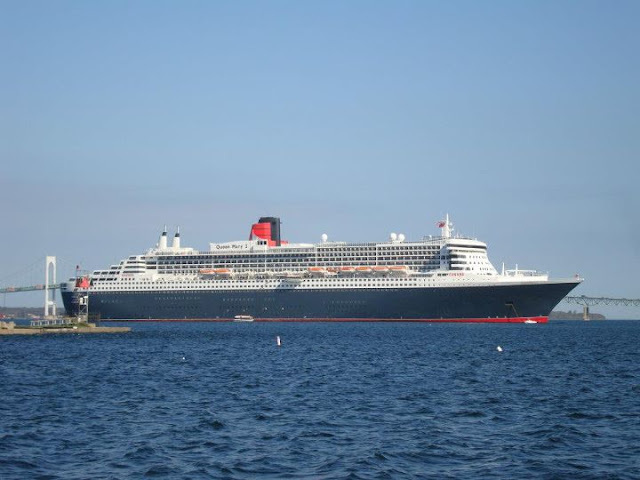 Another Queen Visits Newport...The Queen Mary 2! 12 meter, a photo by Full Pour on Flickr. Daily Sailing Harbor Cruises - Beautiful and Breezy at the Coast! Afternoon and evening sailing cruises aboard our America's Cup 12 Meter contenders. Participate in the sailing or just sit back and relax! 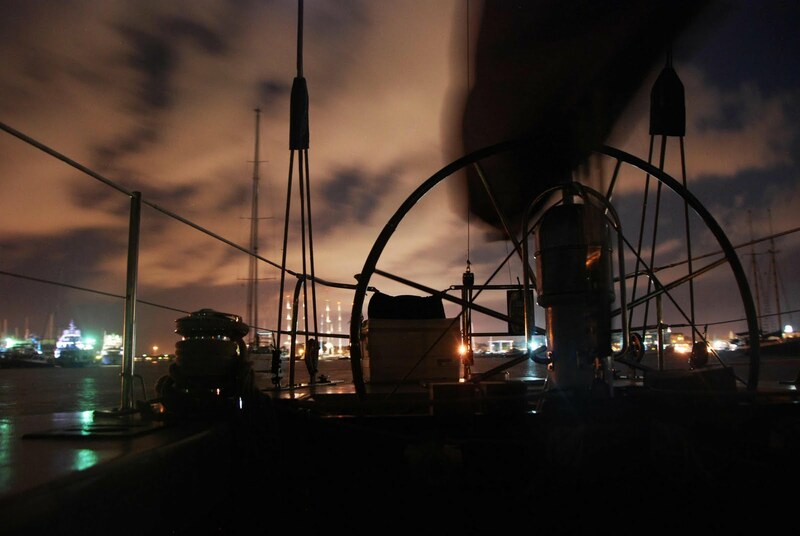 Don't miss the boat, our Harbor Cruises will be ending for the season October 14. Call 401-851-1216 for reservations or BOOK ONLINE! Newport, Rhode Island, “City-by-the-Sea,” has many fabulous marinas. One of the perks of being a waterfront business in Newport is being able to dock our America's Cup, 12 Meter Yachts at them all! We thought we’d give you a glimpse of some of the views and amenities at these great marinas. 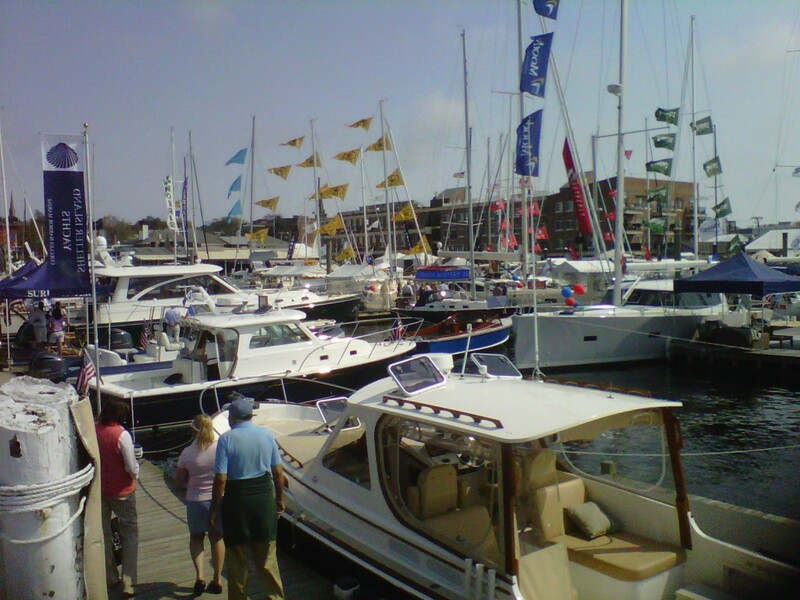 Whether you are visiting Newport with a boat or without, these Newport marinas offer more than just dockage! This month let's check out the Newport Shipyard. Newport Shipyard, located on the northern edge of Newport Harbor, showcases the “it” boats in Newport. From luxurious cruising yachts to the “who’s who” of racing, you will find them all at the Newport Shipyard. We are not embellishing! 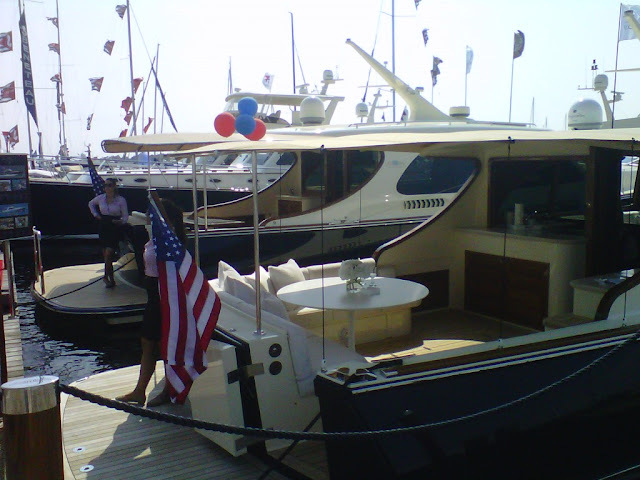 The Shipyard’s 2011 list of summer tenants is sure to impress any yachtsman. Let’s see, there were the America’s Cup J-Boats: Ranger, Velsheda and Hanuman. There are only five of these yachts left in the world and three of them were at the NSY this summer. Then, there were racing greats including Rambler and the Puma team. Impressed yet? The massive Maltese Falcon, one of the largest privately owned sailing yachts in the world could also be seen at the NSY in 2011. And right now, the Mirabella V is on their dock. It is the largest, single masted sailing yacht in the world. The mast is so tall it won’t even fit under the Newport Bridge! If all the drooling over beautiful yachts has worked up your appetite, check out Belle’s Café for lunch. They have great indoor/outdoor dining where you can soak in all the action at the Shipyard. And Belle’s is pet friendly so bring your first mate doggie. 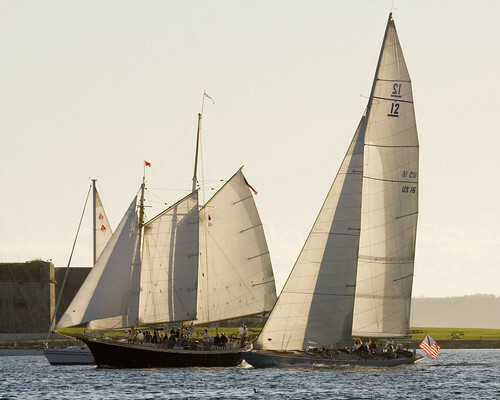 Next time you are in Newport visit the Newport Shipyard to see classic Newport yachting at its finest. 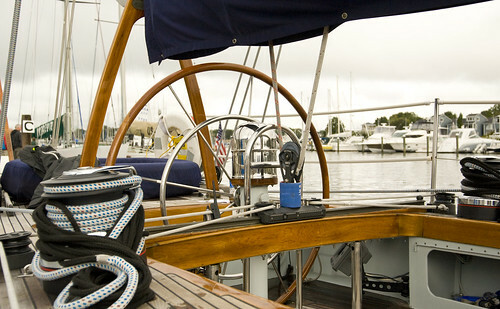 For more about the Newport Shipyard visit – www.newportshipyard.com. September 26, 1958 - Columbia Wins! On this day in 1958 Columbia beat her English competitor, Sceptre, in the fourth and final race of the America's Cup. It has been 53 years but she is still sailing strong! 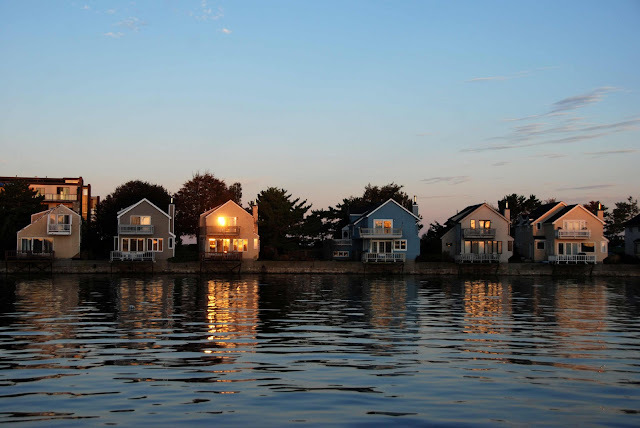 Right to left: Columbia, Aquidneck, Unknown., a photo by beckstei on Flickr. The battle flag is up and Columbia is getting ready for racing in Newport this weekend. Our America's Cup winner will be competing in the 12 Meter North American Championships. Go Columbia! 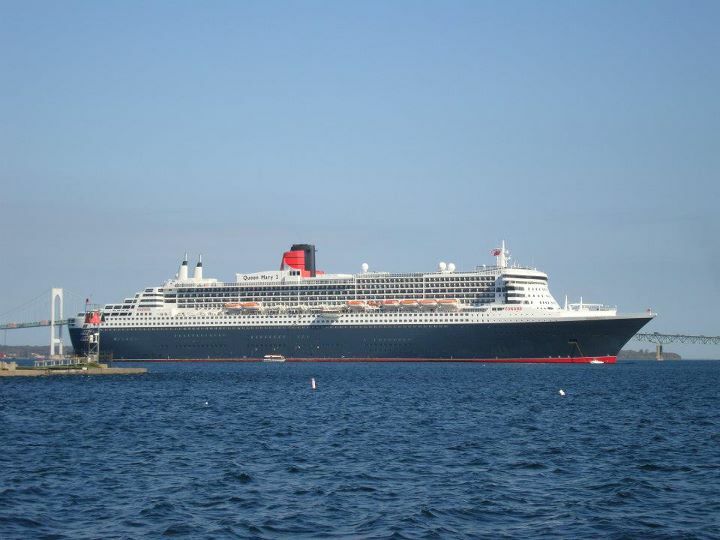 Keep your eyes peeled for her sister ship, the Queen Mary II, she visits Newport next week. Windy September Friday in Newport! Cruise Ship Friday in Newport, RI! The America's Cup is coming to Newport in 2012! Get Excited! Welcome to the Newport Boat Show! 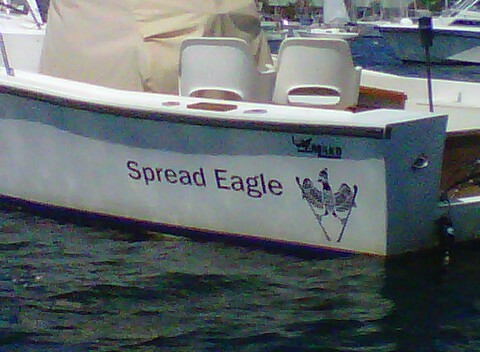 Boat names in Newport, RI! 12 Meter Charters - After Dark! ...Sailors' delight! 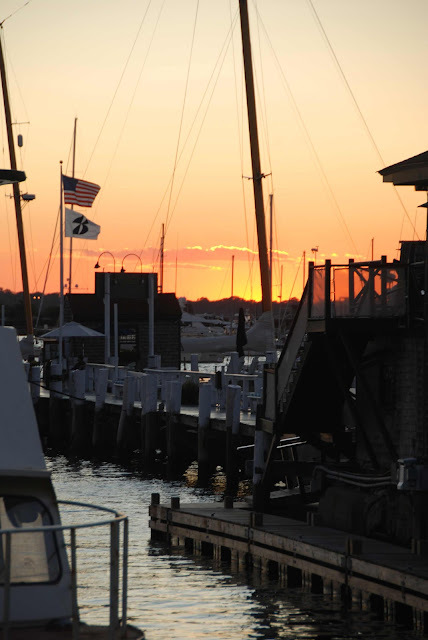 A beautiful sunset view from Bannister's Wharf in Newport! 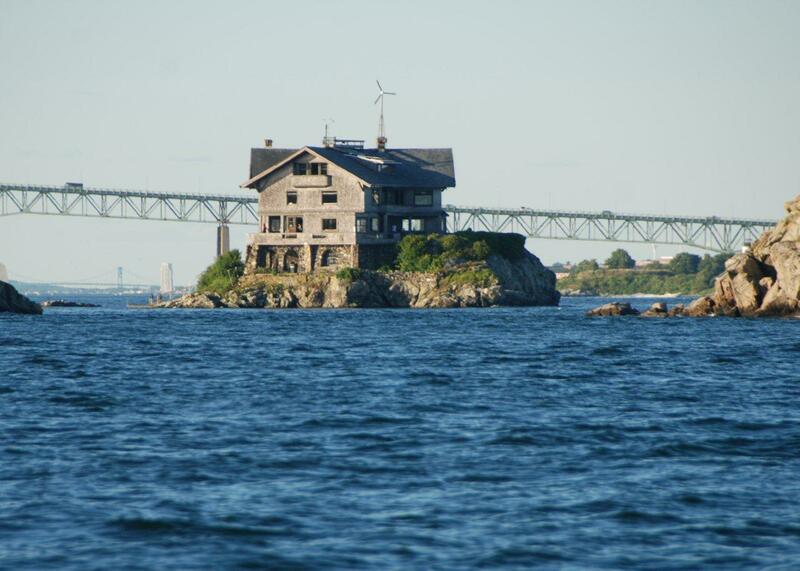 Where in Newport(or Narragansett Bay) is this waterfront home? Think you know? Answer on our Facebook Page. 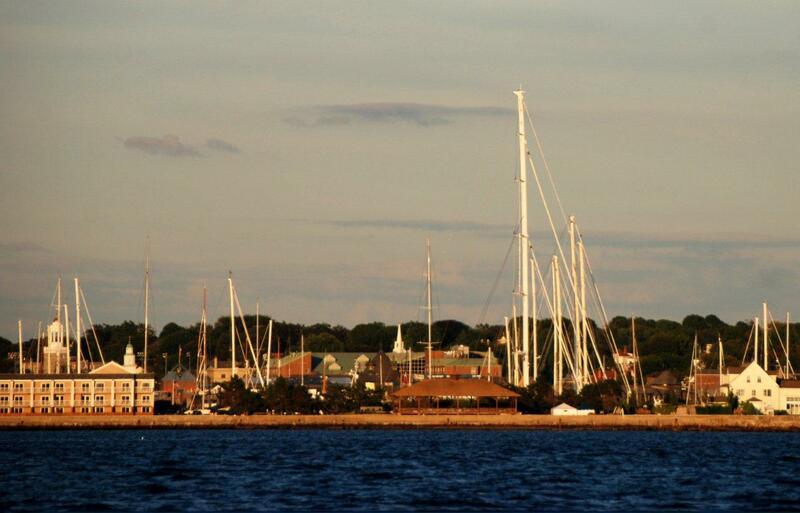 Labels: 12 Meter Charters, Newport RI Sailing, Where in Newport? 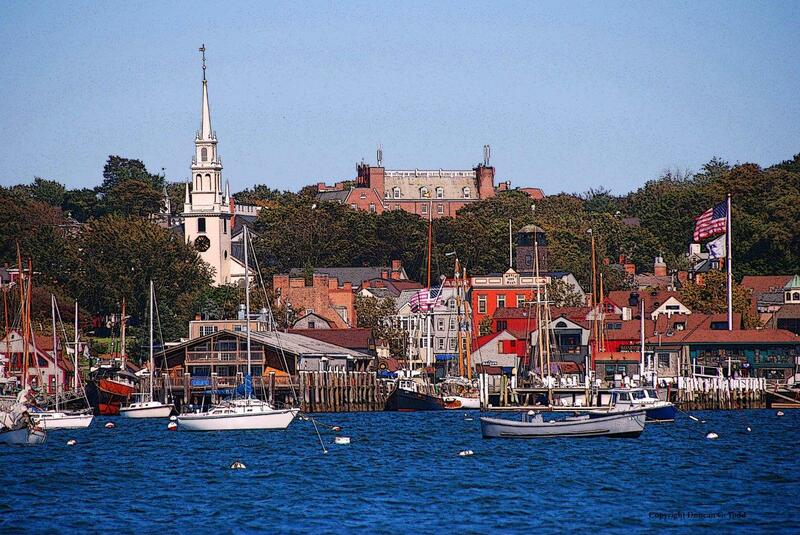 Welcome to September in Newport, RI! One of our favorite months for sailing, September in Newport offers crisp air, warm water and, most importantly, wonderful breezes. 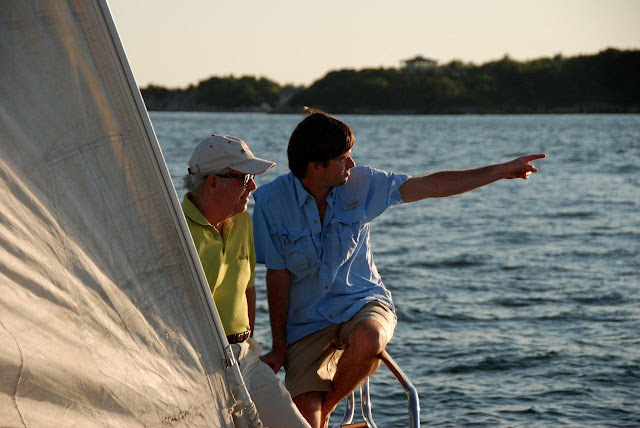 Don't let the sailing season slip away. 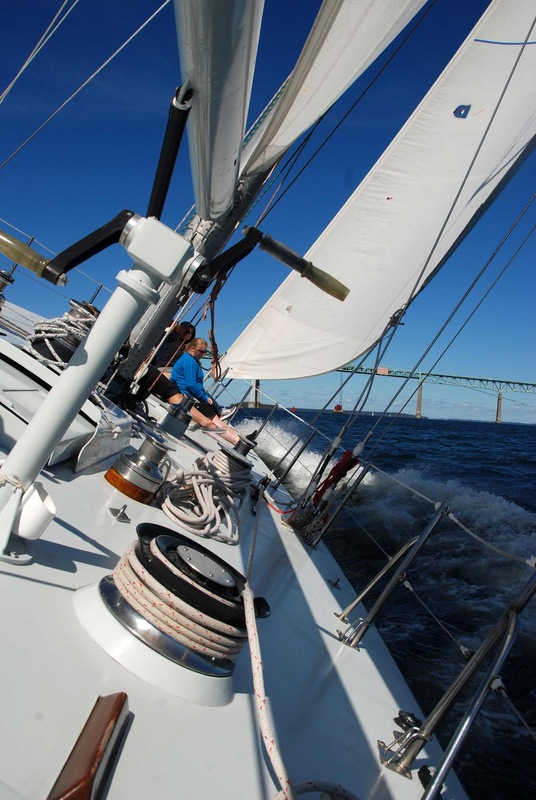 Come join us for a Spectacular September Sail! 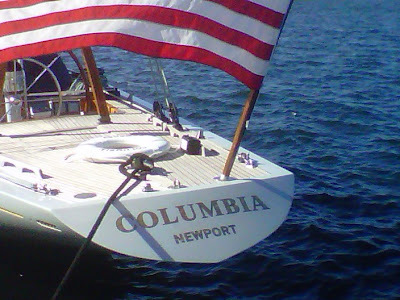 For the second year in a row Columbia won the Museum of Yachting's Classic Yacht Regatta in Newport. Columbia won both races in the two day regatta and claimed victory in the 12 Metre Class. We are thrilled - Congrats Team Columbia! 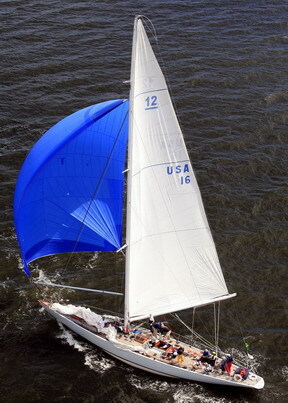 For more information about the Classic Yacht Regatta in Newport visit www.moy.org. Salute to Summer in Newport, RI! Labor Day weekend goes out with a BANG! Check out the awesome fireworks display that was at the Naval Base in Newport, RI last night. What a great way to salute summer! Windy evening aboard Heritage = all smiles! Helloooooo Weekend in Newport, RI! IMG_5456, a photo by MangoPOPTART on Flickr. 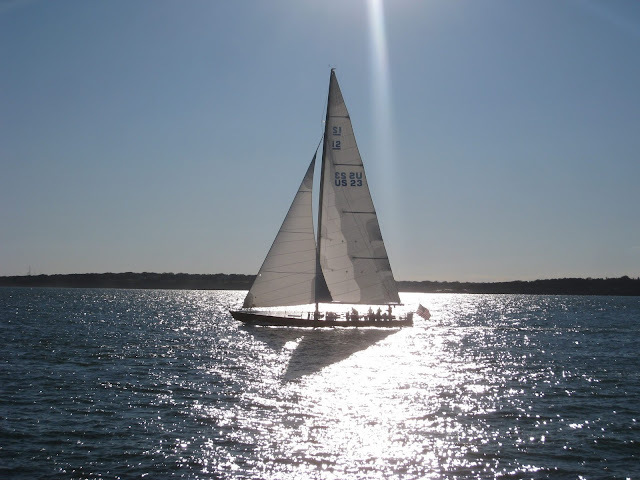 Afternoon sunshine, sail in Newport, RI! 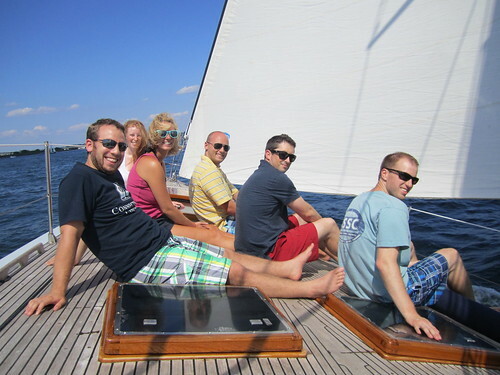 Salute Summer with Sailing in Newport, RI! We are sailing into September this Labor Day weekend with our 12 Meter cruises aboard our America's Cup contenders. Narragansett Bay is glorious this time of year! 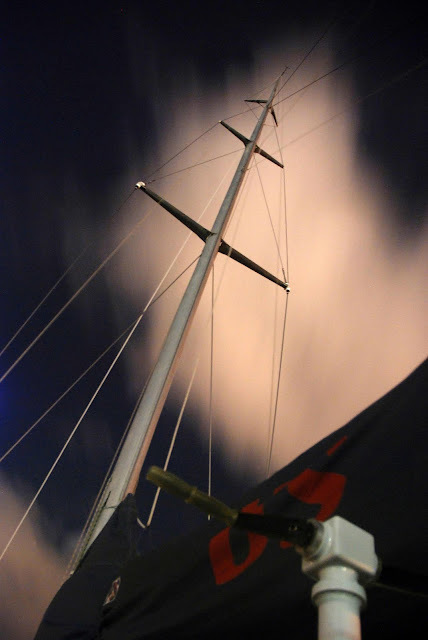 Why not join us for one of our sails? 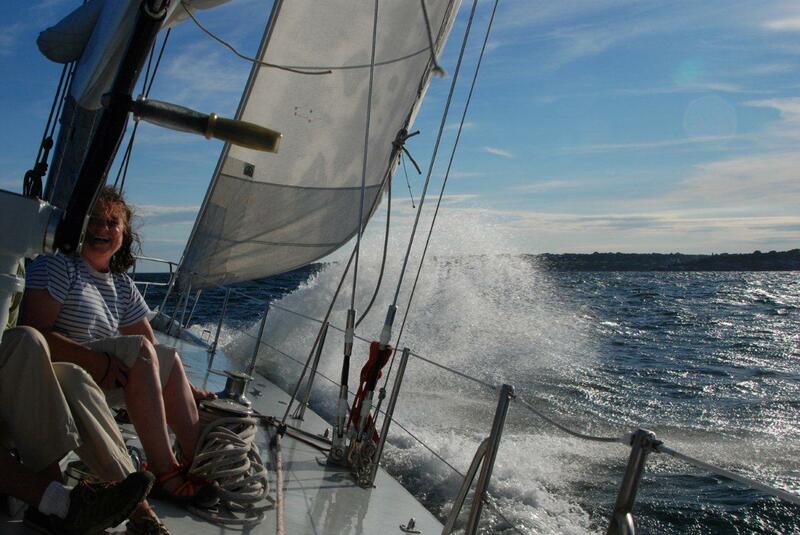 Participate in the sailing or just sit back, relax, and enjoy the views. Our America's Cup 12 Meter sail is an experience not to be missed! Don't have a chance to make advanced reservations? We sometimes have last minute availability so call us when you get to Newport! We look forward to welcoming you aboard our America's Cup 12 Meter Yachts! Sail aboard the legendary America's Cup 12 Meter Yachts!